Nik and I are the girls’ Houseparents living next to the dorms with Leo our Labrador, Missy the Cat and our two children. We are very proud of our homely boarding house and all the girls who live here; we would love to welcome you to see it all for yourself. The dormitories are buzzing with laughter and hugs all week. Our boarders live locally, in London and all over the world – the dorms are a wonderful place to share stories and experiences, play games, chat loads and to forge close friendships. 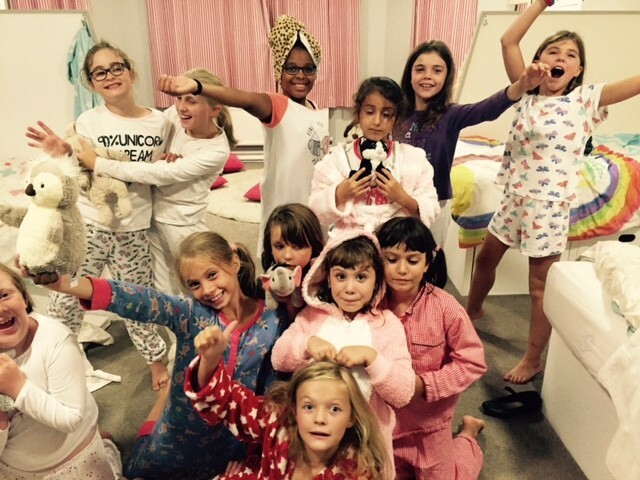 Some of the children’s most special Brambletye memories are made together in the dorms. Some of the younger girls begin their boarding experience by spending two or three nights a week with us as Day boarders, experiencing the benefits of boarding with their friends. Dorm Captains are appointed to assist everyone within their dorm and we choose a Boarding Girls’ representative to share all our ideas at the School Council. Our amazingly cosy, comfortable, light and airy dorms are designed to enable the girls to relax and sleep well after a busy Brambletye day. ‘Life upstairs’ is great. All the Girls are happy, love living here, enjoy spending time with their friends and leave us for their Senior Schools as very fine, independent young ladies.